Our Motto: "Growing old is Mandatory, Growing up is Optional, Insanity is our only form of relaxation". Our Schools Namesake: Charles Lourie McLane was born on April 4, 1862 in Scotland County, Missouri. His career as an educator in Fresno started in 1891 and by 1896, he was principal of Fresno High School. He also served as Superintendent of Fresno City Schools from 1899 to 1913. McLane later went on to serve as the first president of Fresno State Normal School from 1911 to 1927, which eventually became California State University, Fresno "Fresno State". McLane was also the president of the California State Board of Education from 1926 through 1932. He died on August 17, 1949. The Class Reunion Committee wishes you the warmest of greetings. This is your invitation to attend your 55th year Class Reunion in October 2018. Plans for the evening include a casual time of visiting, dining. The cost will be $45 per person. It is important that you return your registration form with a check or money order as soon as possible. 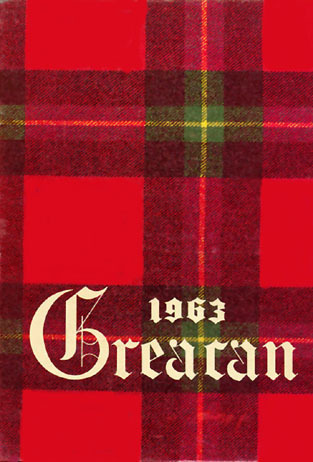 Checks should be made out to: McLane class of '63'. The deadline is October 1, 2018, but sooner is better. While you are thinking about it, please send us any addresses or names you have of McLane classmates. Scroll down this page for a list of the friends we still can’t find. If you have any pictures or memorabilia to display during the reunion please contact Steve LaFerrera (559) 906-4478, it will be securely displayed and returned to you. List of Classmates we have not found!